TVS introduced the Radeon in the Indian market seven months ago and since then TVS has sold over lakh units of the commuter motorcycle. 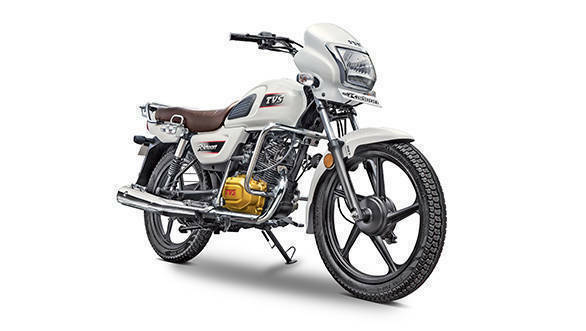 Commenting on the milestone, Aniruddha Haldar, vice president (Marketing)  commuter motorcycles, scooters and corporate brand, TVS Motor Company, said, "TVS Radeon has been developed based on extensive customer understanding, which is deeply embedded in the motorcycle's usage-led design. Over the past months, TVS Radeon has witnessed tremendous response from customers as well as received critical acclaim and multiple awards. TVS Radeon has stood for the 'buland' values and ambitions of an Indian man and its start has been nothing short of that. The motorcycle, with its stylish appearance and superior handling, has significantly upped the choice available for the everyday commuters." The TVS Radeon is powered by a 110cc air-cooled engine that produces 8.4PS at 7000RPM and 8.7Nm of torque at 5000RPM. The motorcycle priced at Rs. 52,372 ex-showroom Mumbai and rivals against the Bajaj Platina 110, Honda Livo and the Hero Passion Pro 110. Recently, TVS updated their Apache series of motorcycles with supermoto ABS and the TVS Victor was launched with a combined braking system.